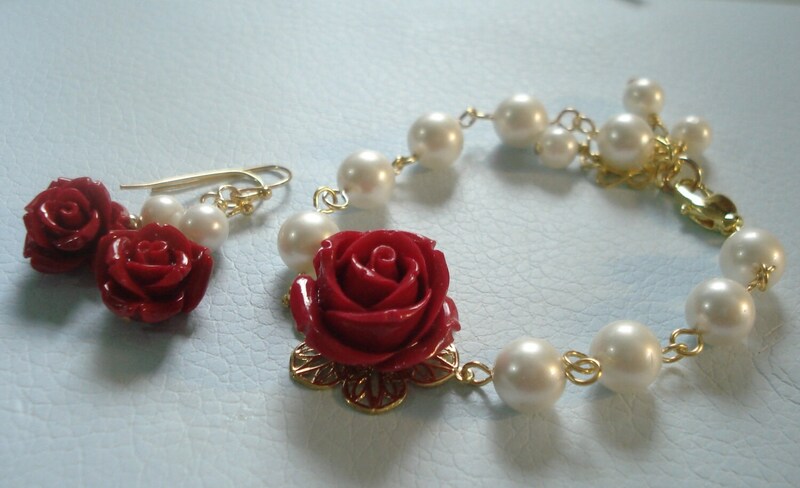 ~~This pretty bracelet is made with 8mm white shell pearls, reconstituted carved red coral rose floral measures 20mm (slightly under 1 inch) on a 28mm gold plated filigree base. 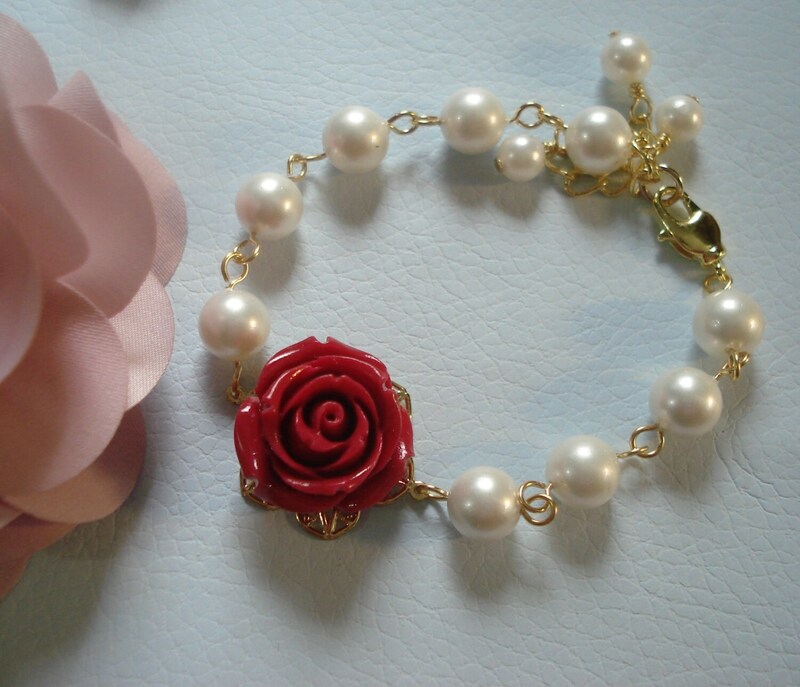 This pretty bracelet measures 7" plus 1-1/2 inch extender & finished with a deluxe lobster lobster clasp. It can be custom sized upon request. 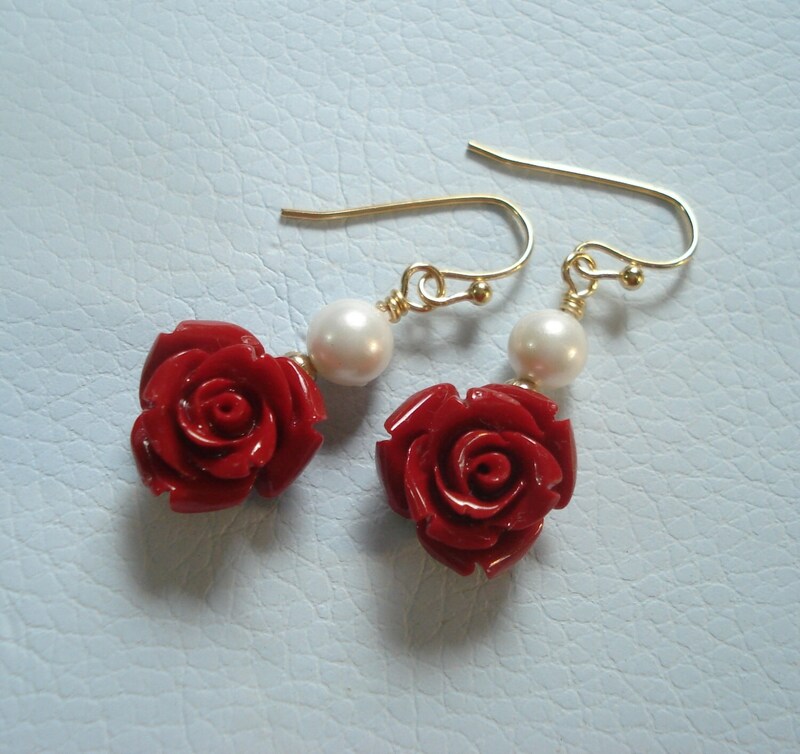 ~~These matching beautiful earrings are available: made to compliment the necklace and are made with 20mm red color reconstituted coral rose floral beads, 8mm white shell pearls and which dangle 1-1/8 inch from the bottom of the earwires. Wow! 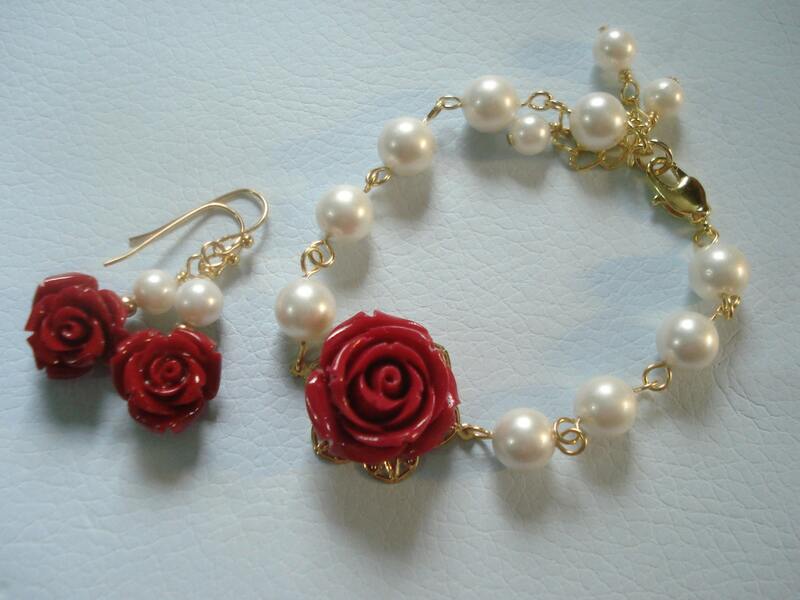 This jewelry is even more beautiful than I had imagined!!! I can't wait to wear it. Shipping was VERY quick too and much appreciated! This item was gorgeous! 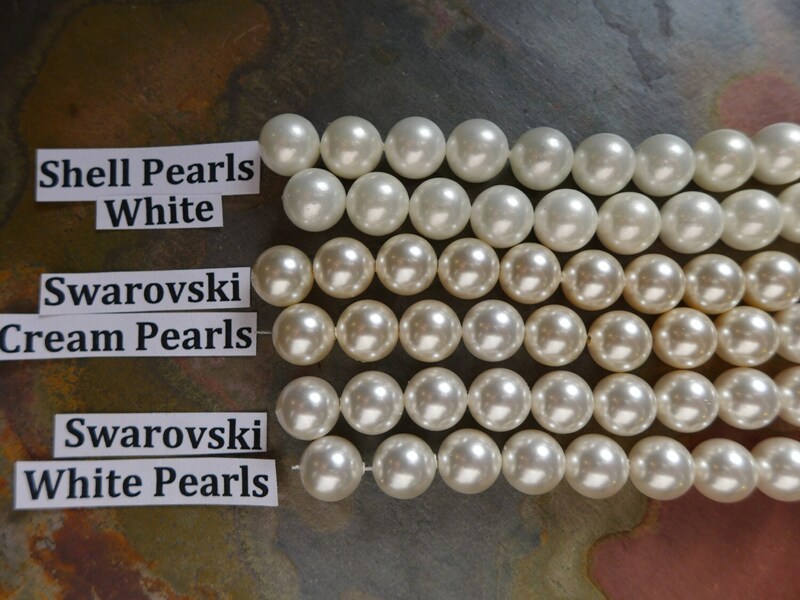 I bought it as a bridesmaid's gift and the girls loved them!